which does not follow the rules of data typing and structure that apply to traditional relational tables and columns. 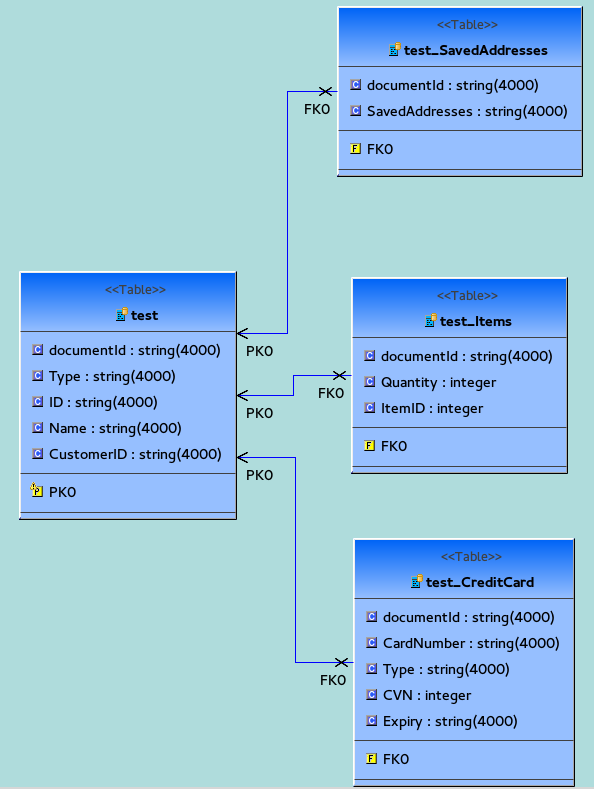 To map the documents to a relational form, the Teiid Couchbase connector will generates a database schema that maps the Couchbase data to a JDBC-compatible format. Simply, this be done in Teiid Connector’s MetadataProcessor load the Metadata. 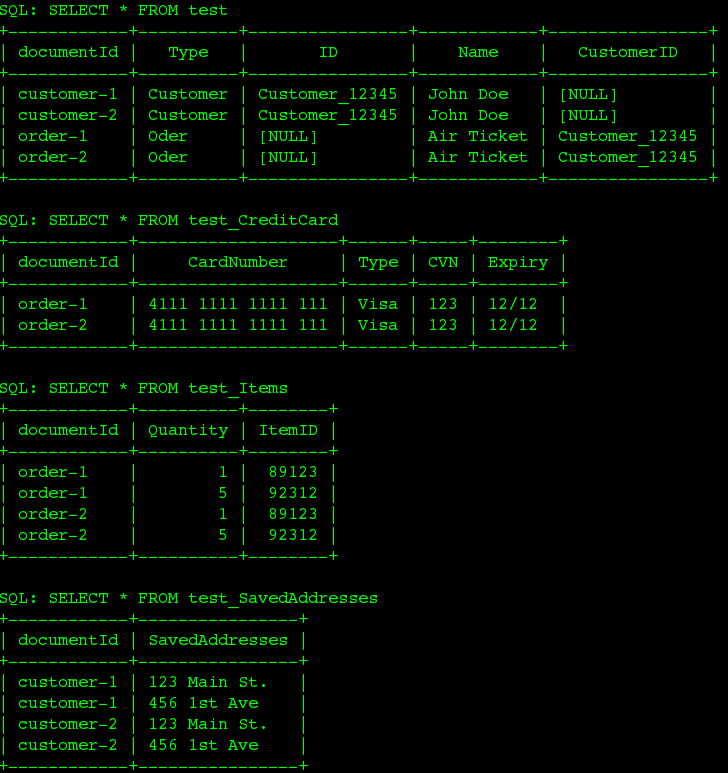 Each Table has a PK column map the document id, the PK in top table is primary key. If a nested array has a nested array item, the array item item be treated as Object. 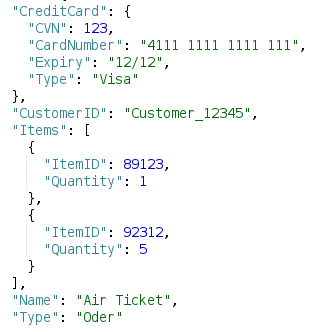 The above documents will map to 4 tables: test, test_CreditCard, test_Items, test_SavedAddresses. Website and docs licensed under CC BY 3.0. Code released under Apache License, v2.0.